Eco printing is a very unusual technique, which uses plants and minerals to print directly onto a surface. I use mostly paper, silk and felt. 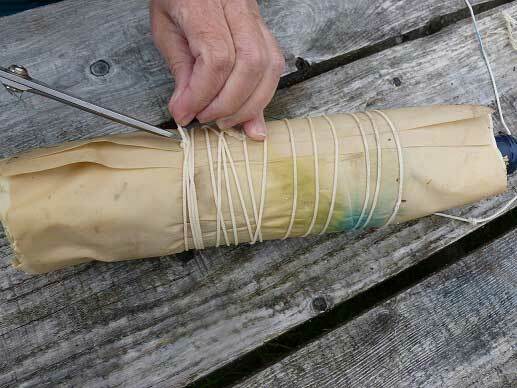 The plant material is placed onto the surface and secured by rolling and tying. The bundle can be then boiled or steamed and left for 1 day or up to 1 week. It is a wonderful way of making beautiful original designs and patterns naturally. I was first shown this technique by an Australian crafts woman who had been taught by India Flint, who initially started using the technique in Australia, using a lot of Eucalyptus in particular. I use similar techniques but I have adapted them to Scottish plants. 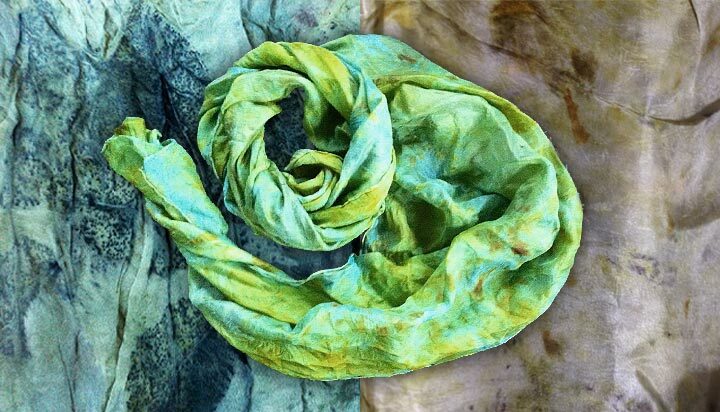 Our two day Eco-printing course, will start with an introduction to dye plants. We will forage in the woods for leaves, flowers and tree lichen which we can print with. Firstly we will print on paper, experimenting with colours and getting to know the different techniques and effects. 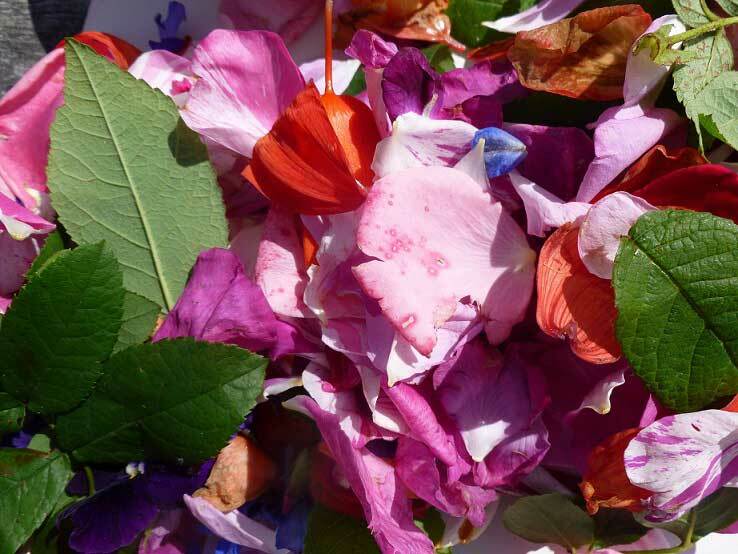 We will then move on to silk, using foraged plants as well as ancient imported dye plants. 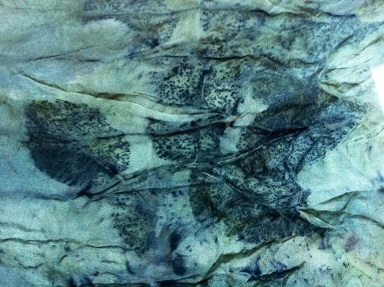 We will try boiling, steaming, dipping and Indigo dyeing. All participants will end up with lots of samples as well as a completely original silk scarf. Courses are run from Saturday 10am to Sunday 4pm and the price includes all materials, lunch on Saturday and lunch on Sunday. You can choose to stay in a local B&B, hostel, static caravan or campsite. Our personal recommendations for these can be found on our Accommodation page. If we don’t have any dates which suit you, let us know and we can arrange a workshop just for you and your friends and family.